This is an example of a chromosome map which was generated using our SNaP-Map software. 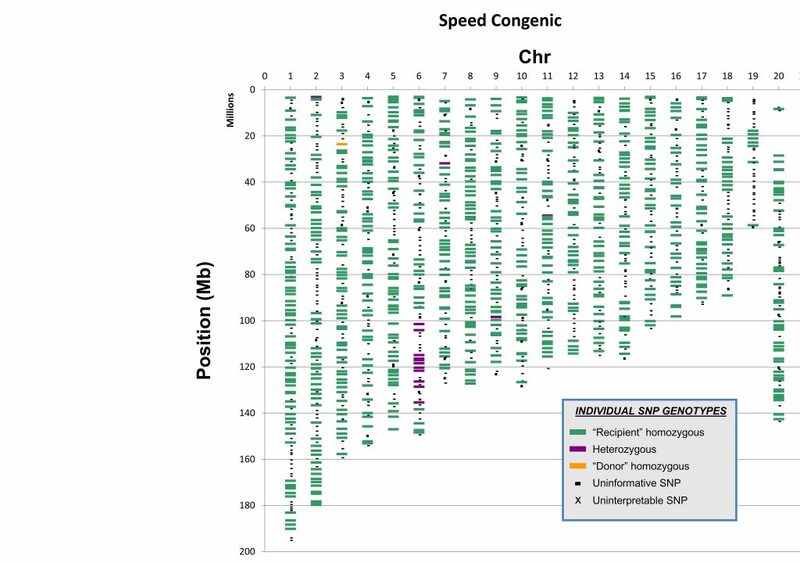 You can see each of the markers in their physical location within the genome of the mouse. These SNP markers are color coded to detail the genetic origin as either the "Donor" strain or the "Recipient" strain. 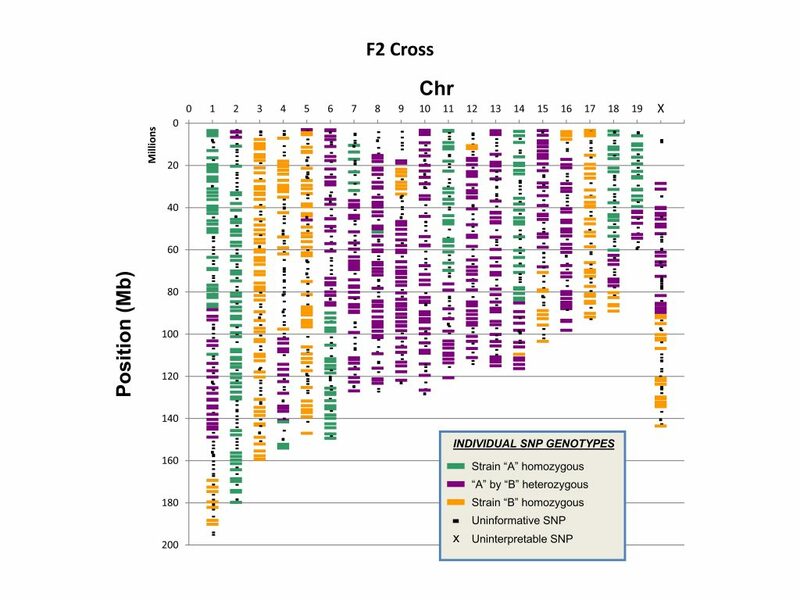 In this example, the knockout modification can be clearly identified at the distal portion of chromosome 6. This example shows a chromosome map from an F2 cross. This type of analysis shows the power of the SNaP-Map software at assigning each marker to the proper genetic background.